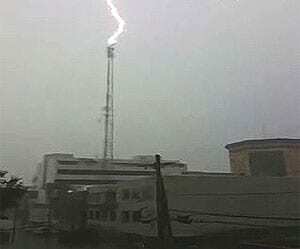 The Big 98 WSIX tower was struck by lightning during yesterday’s storm, damaging equipment and disrupting broadcasts. See the video of the lightning strike here. Sony Music Nashville is looking for a Senior Director – Label Sales following the recent departure of David Fitzgerald. Interested applicants can view the job posting and apply online via the Careers tab at www.sonymusic.com. Fitzgerald can be reached at 615-579-8614 or via e-mail at davidfitzgerald55@bellsouth.net. The Country Music Hall of Fame® and Museum will host Get the Scoop on Volunteering, an information workshop and ice cream social on Saturday, September 12, at 2:00 p.m. The one-hour meeting is for those interested in being school tour guide volunteers who provide small-group tours for students grades K-12 and must be available on weekdays between 9:00 and 11:30 a.m. An optional guided tour of the Museum will immediately follow the workshop. Ice cream comes compliments of Blue Bell Creamery. Reservations are requested. Please contact Sandy Conatser, volunteer coordinator at the Museum, at (615) 416-2092, or email volunteer@countrymusichalloffame.com.